This is unlike anything you've ever heard before. 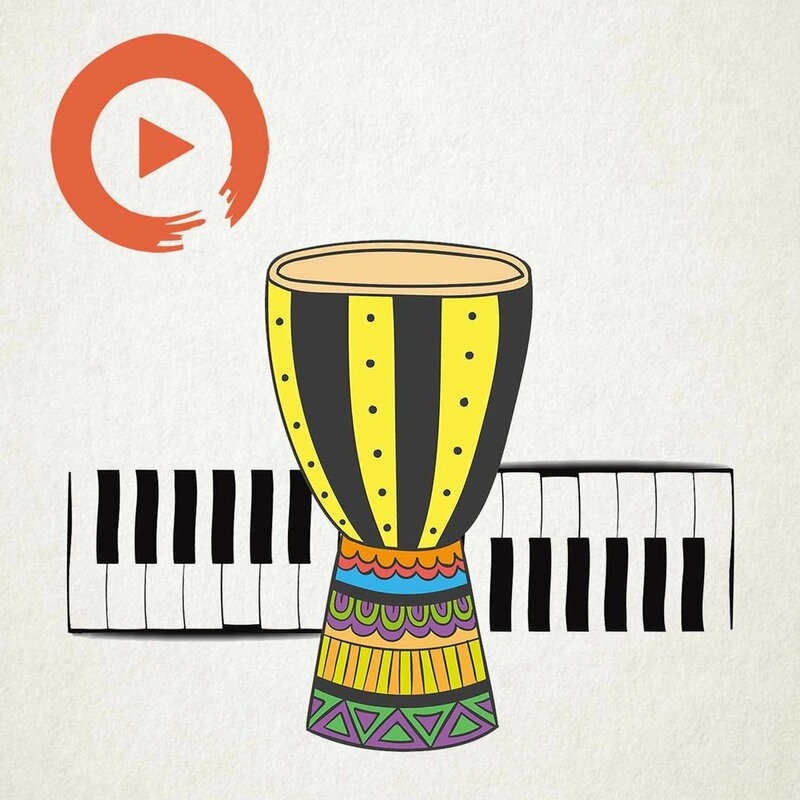 Music to the new Africa will take you on a journey to the latest emerging sounds from Africa . The sound embodies the cultural exchange between Africa and the world. Have you ever wondered what the latest pop sound in a west african club or an East african radio station might sound like without actually flying into the country. This is the playlist for the new sound of Africa, from South African hip hop , Ghanaian cosmopolitan highlife, Congolese Makosa to Nigerian Afrobeats sounds. Plug in your headphone and experience the borderless gateway into Africa, America and Europe without hopping on a plane . This is all you need when you decide lose yourself in the world and witness the continuous emergence of contemporary musical expression from artist of african origin. With one of the largest hip hop fan base in africa , Casper doesn’t only fill up stadiums , he fulfills his duty as a hip hop culture custodian by reinstating himself as the king of hip-hop with his smoothly executed braggadocious flow on this track. Let the music trap you . Why Music to The New Africa? With a Catchy phrase and paced instrumentation, Wande Coal exerts his vocal prowess on this balanced rhythm progression . I knew it was a radio jam the first time time I heard it . Multi Award winning Tanzania artist Naseeb Abdul Juma known also known as Diamond Platnumz is considered one of the most influential , loved and decorated Tanzanian artist at the moment. There is a new sound emerging from Africa now called Afropop . The infusion of our African sound (Afrobeat, Fuji, Highlife, Kwaito music) with western sound (Pop, RnB, HipHop) . Afrobeat is the mother that births and inspires a lot of what we listen today from new emerging artist. The father of that sound was the legendary revolutionary musician, Late Fela Anikulapo Kuti. After his feature on Drake's multi platinum selling track one dance, Wizkid has gone further beyond the shores of Africa to winning and sealing his place as the poster boy for Afropop. Ayodeji Ibrahim Balogun, popularly known by his stage name Wizkid started his musical journey from the age of 11 in the church before rising to prominence in 2010 after the releasing his classic song “holla at your boy“ under EME Records. Congolese vocalist and performer , Fally Ipupa came to prominence as a protégé of his compatriot Koffi Olomide in the band Quartier Latin from 1999 to 2006. Just like other flamboyant Congolese performers, Fally Ipupa too is known by many stage names including ‘DiCaprio’, ‘King Arthur’, King Hustler, the ‘Golden Child of Congo’ and has recently started calling himself ‘The Greatest’ ( after watching the recent boxing fight between Floyd Mayweather and Conor McGregor in Las Vegas). Arguably the biggest song in africa this year by the biggest pop star in Africa. IF is a refined romantic music with cautious brittle vocals produced by Tekno. This is the sound of the moment , the best case study material for the most popular and trending sound out of West Africa in 2017 called “ PonPon”. A frictionless blend of soft synth and Ghana highlife percussion.